Microblading is a manual method used to deposit small amounts of ink in the superficial layer of the skin. It is considered to be a semi-permanent tattoo. Your tattoo will last as long as it’s maintained. Untouched, the ink will last 1-3 years. Touch ups are recommended every six months to a year, to keep the color fresh and the strokes crisp. There’s no prep required. Leaving your eyebrows alone for a week (no tweezing, waxing or otherwise removing the hair) is preferred. Other than make sure your skin is dry and clean - not much. 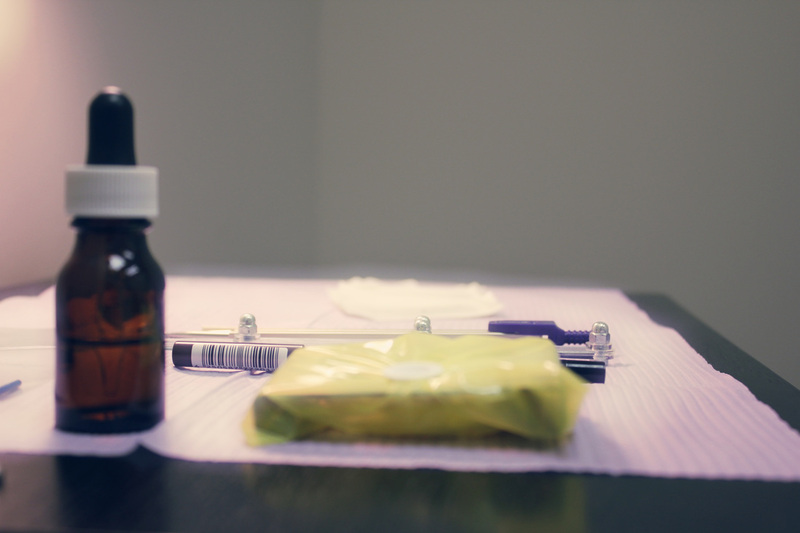 An aftercare kit will be given to you after the treatment is complete. Microblading is a two step treatment, consisting of an initial procedure and then a touch up four to eight weeks after. After we take your before photo, we shape your eyebrows and decide on the color. Shortly after that, a topical anesthetic will be administered to ensure comfort. Once you’re numb, the pigment is deposited. During healing, it's normal to experience some pigment loss; this is why we have the touch up in place. The process is considered to be complete 4 weeks after the first touch up. You are advised to keep the skin clean and dry - that means no swimming, sweating or otherwise getting the area wet; no tanning or prolonged sun exposure; no picking or peeling the tattoo. You can still wash your hair and face and once they’re healed up, you treat them as your own. LI pigments, manufactured in Las Vegas, USA. All the colors are iron-oxide based and have been FDA approved. A wide range of colors is available. For any additional questions or concerns please call, text or email me.